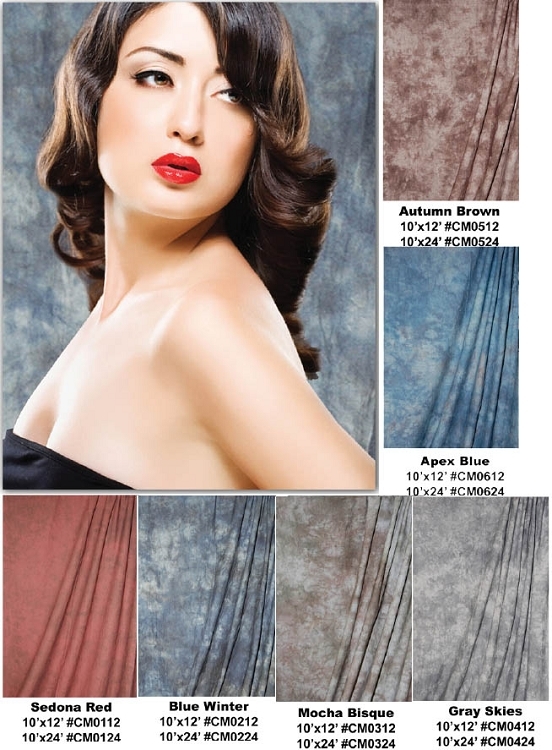 Accent Crushed Muslin Backgrounds by Savage are well-crafted, rugged, and durable backgrounds. 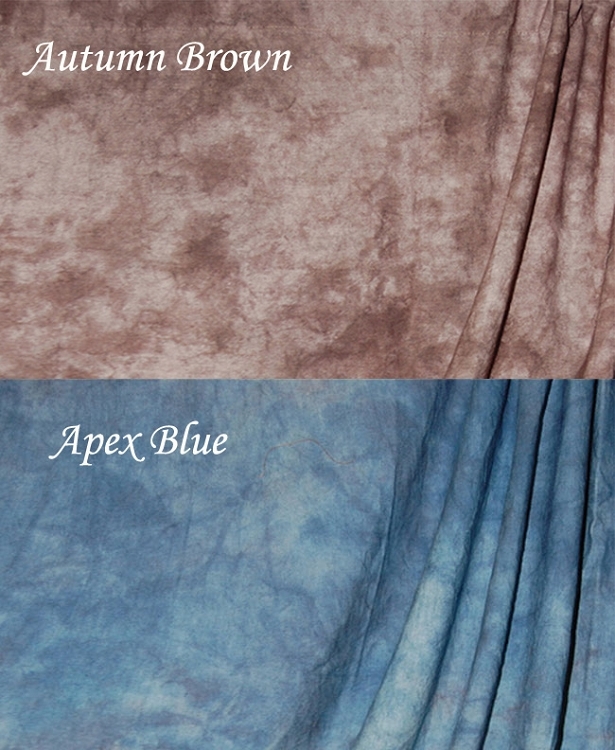 They are dyed and crushed to create a distinct mottled appearance. Available in 10' x 12' (3.04m x 3.65m) or 10' x 24' (3.04m x 7.31m) . 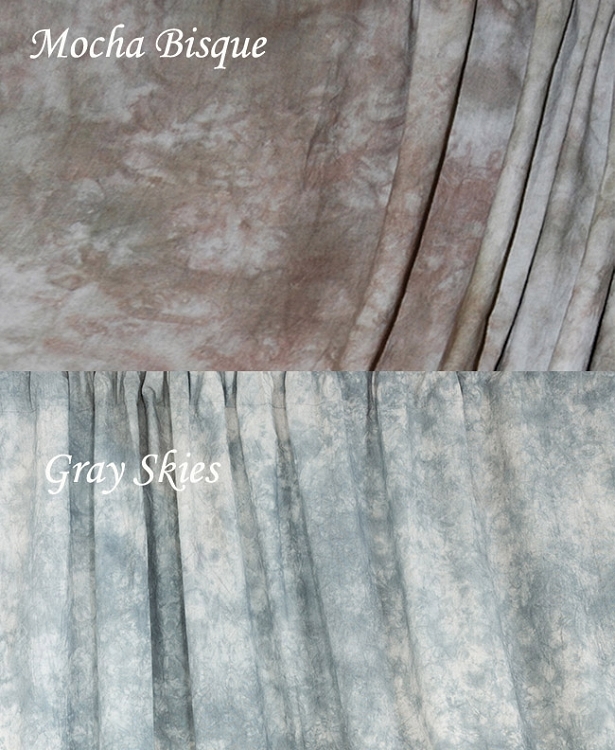 Heavy Duty, professional quality Savage Crushed Muslins are specially dyed and crushed to create slight color variations that result in a distinct mottled appearance reminiscent of clouds, steam, or sunlight playing through leaves. 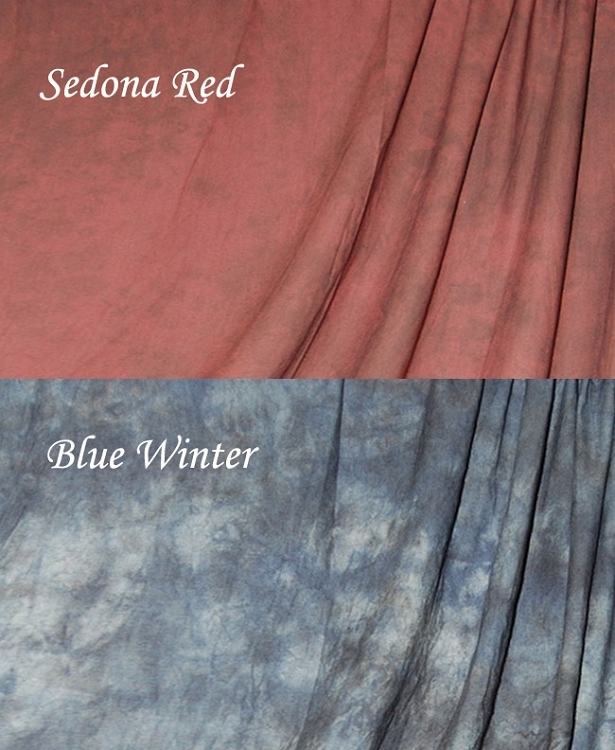 Available in six colors, Savage Crushed Muslins create a soft, elegant background that’s especially flattering for portraits and group shots. Drop ship.